I love these paintings. 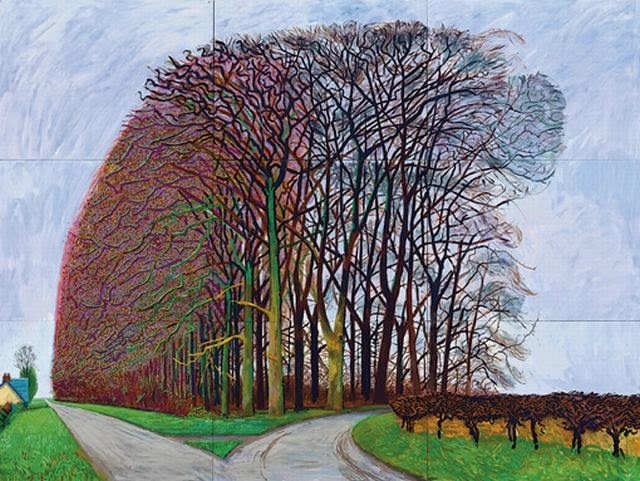 David Hockney has captured all of the nuances and yet also perfectly conveyed the joy of those moments, when you take time and let the beauty of such things as trees take over your senses. 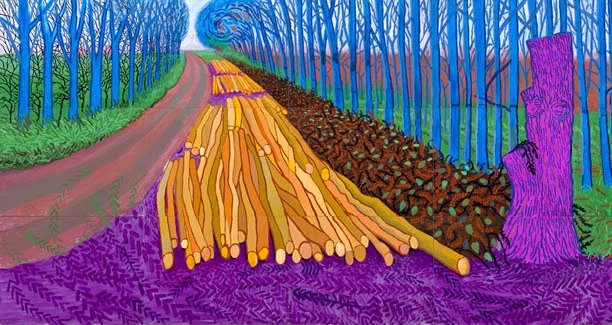 The bottom picture painted when David Hockney discovered these trees felled and logged is amazing. The shock of the vivid colour captures his shock and the brutality of the scene. It has a startling anger and horror, the more I look at it the more disturbing I find it, despite the beauty of the patterns and composition, it is very emotional and powerful.